Case in point: State Democrats’ decision to stall on public funding of campaigns, which ostensibly was one of the party’s bedrock issues. At least it was at campaign time when they needed progressives’ support – and when they felt confident it had no chance of actually passing in a Republican-controlled Senate. But now that Democrats manage all three branches of state government, they suddenly don’t seem so gung-ho on public funding of campaigns to even the playing field between incumbents (in other words, themselves) and challengers. Nor are they as eager to alleviate the need to hock themselves to the highest-bidding lobbyist or ensure that public policy is based on the public interest instead of special interests. Instead of simply using their power to enact the public funding system they have advocated for decades, Gov. Andrew Cuomo and Legislature Democrats created a commission, which typically is where good ideas go to die. Remember the Moreland Commission, which was supposed to fight corruption? As former Senate candidate Ross Barkan noted on cityandstateny.com, creating such commissions "is a Cuomo specialty, and should raise doubts about how earnestly he ever embraced public financing." He’s not the only skeptic, though Cuomo at least was on record supporting the idea. But he could afford to be, knowing Assembly Democrats got cold feet and thus the idea wasn’t going any further than a study group. No wonder cynicism and realism are synonyms in Albany. Now advocates will have to keep pushing to make the commission deliver what the governor and legislators wouldn’t. "It will take a lot of monitoring and participation by the Fair Elections coalition, of which we’re a part," said Alex Camarda senior policy analyst for Reinvent Albany. He was referring to Fair Elections for New York, a coalition of more than 200 organizations that has long pressed for a small-donor matching system and lower contribution limits. Reinvent Albany has raised a host of concerns about the Democrats’ commission cop out, ranging from the fact that the plan doesn’t address the "sky-high" contribution limits for candidates who opt out of public funding to the fact that it also doesn’t create an independent enforcement entity outside of the anemic state Board of Elections. Camarda pointed to two potential pitfalls in particular. For one, state leaders could fail to agree on a ninth commission member. The panel is to have two members each appointed by the governor, Senate and Assembly majority leaders and one member appointed by each minority leader. But Camarda noted that if all of the appointing parties don’t agree on the panel’s ninth member, there is no commission. That means calculated gridlock could be one means of killing the whole thing. Noting that the nine-member panel will require a majority vote to pass anything, he also questions how the votes for any reforms will be structured. Will there be separate votes on each proposal, or a single vote on a reform package? Call me cynical, but if it’s the latter, it’s easy to envision a package with something everyone could oppose while still claiming to be a reformer. Speaking of reformers, the composition of the commission remains the biggest unknown. If Cuomo and legislators were unwilling to enact public funding on their own, how likely are they to name real reformers to this panel, people who will do what the politicians appointing them were loath to do? Reformers like Camarda say they will keep the public pressure on to ensure that the commission is both diverse and committed to reform as well as knowledgeable about the issue so that members "are not learning about it on the fly." The fact that the Legislature would have to vote to reject the commission’s recommendations may instill some measure of confidence. But that, again, depends on who the commissioners are and what they come up with. 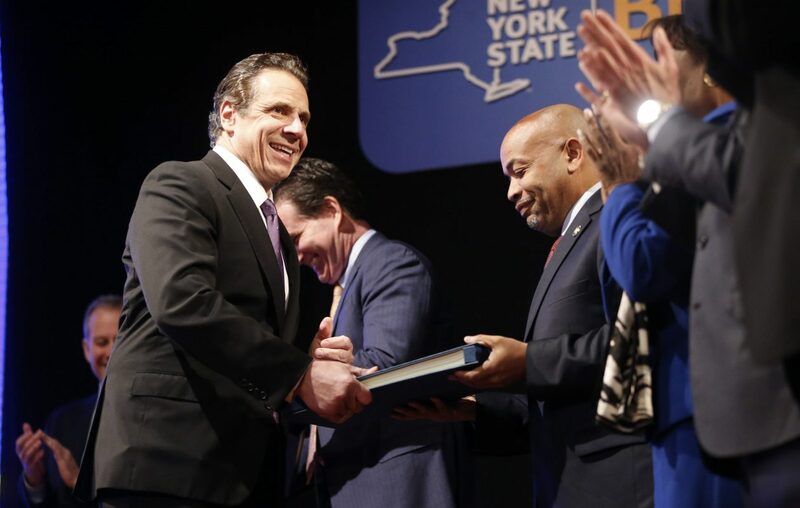 Granted, Cuomo and the legislators did pass a series of other meaningful reforms, including early voting, consolidated primaries, pre-registration of young people, and shrinking the LLC loophole. They deserve credit for each of those. But none would have as much impact – or be as much of a threat to the very existence of incumbents – as fundamentally reforming the way campaigns are financed. And if Democrats can’t do that, they might as well be Republicans.